a capital wasteland: Do you have sentimental attachment to game demos? Today, Kotaku posted an article about Nintendo's limited-play game demos. Steve Marinconz wrote, "Now, of course I don't plan on playing a demo more than once or twice, as I'm sure most people don't." It got me thinking. Is that really true? When I was a kid, I remember playing the game demos on kids' edutainment compilation Club Kidsoft for hours and hours. 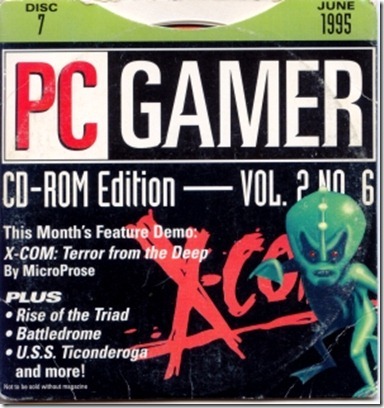 When I got a little older, I wore out all the demo discs that came with my PC Gamer magazine subscription. I poured dozens of hours into demos for games like Dungeon Siege, Wizardry 8, and Galactic Civilizations; I've got vivid memories of them, but to this day I've never played any of them in full-game form. When I first got an Xbox 360, I wanted to play EA's NHL 09. But of course, NHL 10 was on its way only a few months later, and I couldn't justify buying 09 just to have it immediately outdated. So instead, I downloaded the free NHL 09 demo from Xbox Live and played it nearly every day until NHL 10 arrived. I became intimately familiar with the 5-minute game sessions between the predetermined matchup of Detroit Red Wings and Pittsburgh Penguins. For people without tons of disposable income, demos can be incredibly important. Are there any game demos from your childhood (or later) that you've got a sentimental connection to?